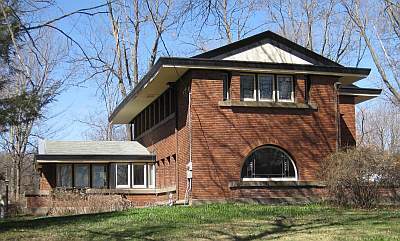 ⚫ An architecturally distinctive Barry Byrne-designed prairie style home (one of the best in the Midwest). ⚫ The first Carnegie Public Library west of Pittsburgh, Pennsylvania, which became the funding model for 1,688 more Carnegie libraries in the U.S. alone, with more overseas. ⚫ A downtown Square recognized as the "best in Iowa." 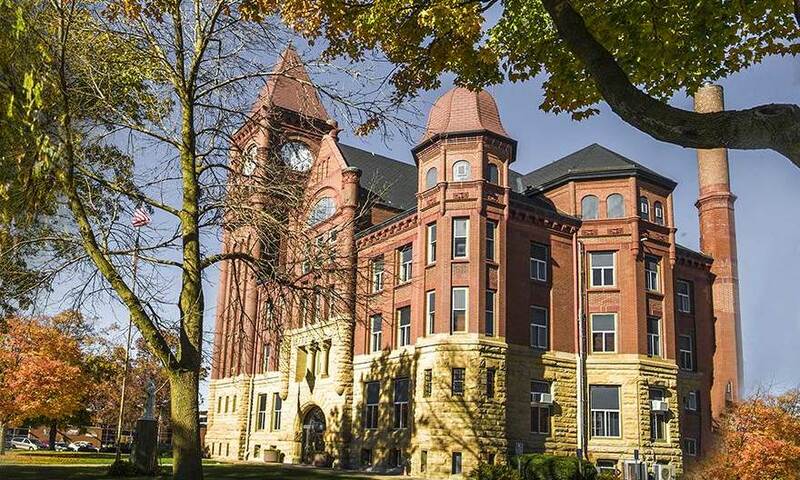 ⚫ A Richardsonian Romanesque style courthouse built in 1893. The interior was remodeled for 21st century usage. ⚫ An excellent example of Streamline Moderne design, designed in 1955 for a local bank. ⚫ A dwelling built in 1838 (a log house).